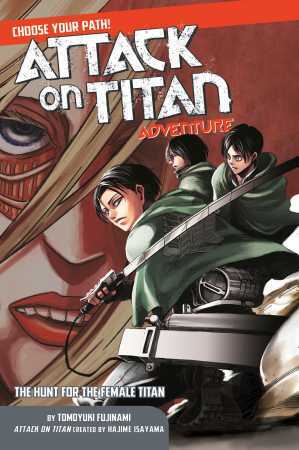 Do you think you have what it takes to stand against the Titans as part of the Survey Corps? We’re giving you (and a few hundred of your peers online) a chance to find out with a week of Attack on Titan Choose Your Path Adventure 2: The Hunt for the Female Titan! Of course, you’re always welcome to follow along in your own copy of the book. Click here for full info on Attack on Titan Choose Your Path Adventure 2, available now!